Catania is the second largest city in Sicily, and is known for it’s seismic history! Yikes!! Our tour guide said that in her lifetime, she has seen the city rebuilt five times. All of the citizens live beneath the active eruptions of Mt. Etna volcano, never knowing if the next eruption is going to take their house. It is one of the most active volcanos in the world and is in a constant state of activity. It has been designated as a decade volcano by the United Nations, and is also a UNESCO world heritage site. 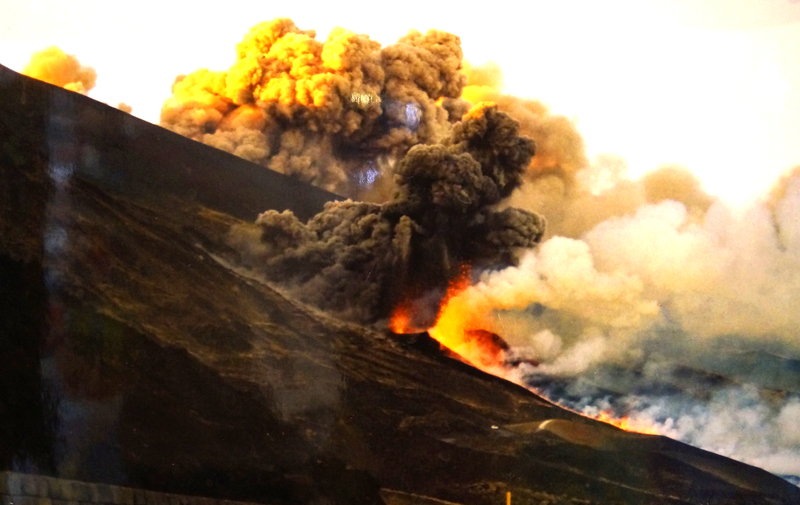 Of late, it has erupted in 2001, ’03, ’05, & ’08, with summit eruptions in 2006, ’08, and 2012. Interesting to see, but I sure wouldn’t want to live here! 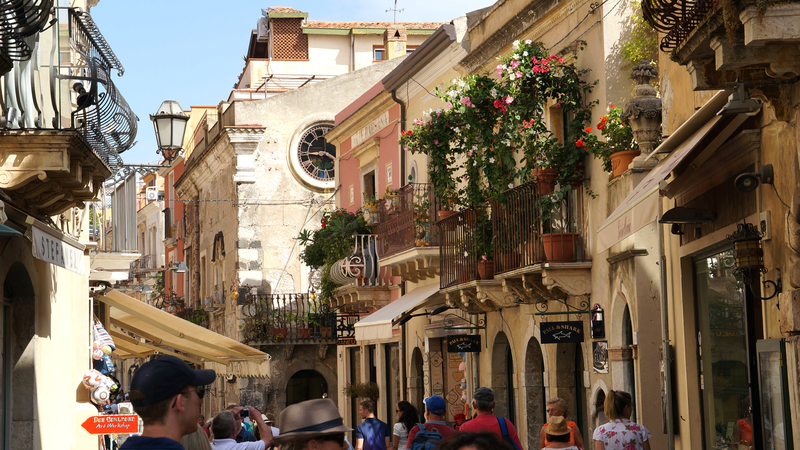 About forty-five minutes away is Taormina, a charming little village perched high overlooking the sea. The narrow pathway is for pedestrians only and is flanked on both sides my old churches, lively bars, restaurants, and shops. Handpainted pottery as been a part of the Italian landscape for hundred of years with the ceramists producing extraordinary pieces for tableware, decorations, and for kitchen and bathroom back splashes. Oh, if only my suitcase were a little bigger. We discovered a little traditional Sicilian staple, arancinas, the Italian word for “little oranges.” It’s a little rice ball covered with bread crumbs and stuffed with meat, and often served with ragu. We grabbed one of those at a sidewalk cafe, along with a gelato later, and meandered through the sidewalks soaking up the atmosphere. There was no more charming way to pass the afternoon in this quaint and picturesque city. I can’t wait to get to Sicily. 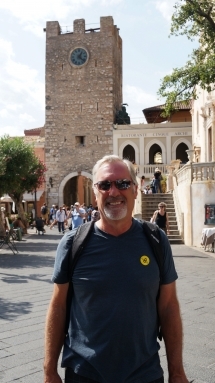 I been to lots of other parts of Italy but not Sicily yet…one day soon I hope. 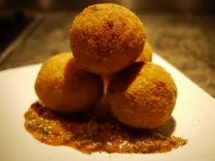 Your arancini look delicious.